Free shipping. Buy direct from HP. 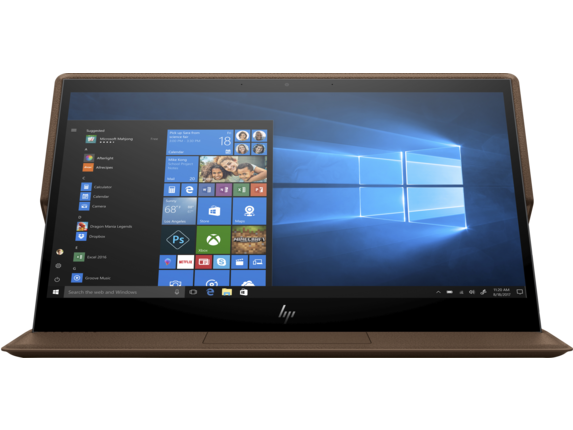 See customer reviews and comparisons for the HP Spectre Folio Laptop - 13t. Upgrades and savings on select products. No Wi-Fi, no problem. Built-in 4G LTE  lets you connect safe and secure, wherever you are, while reducing the threat of someone accessing your information through public Wi-Fi. 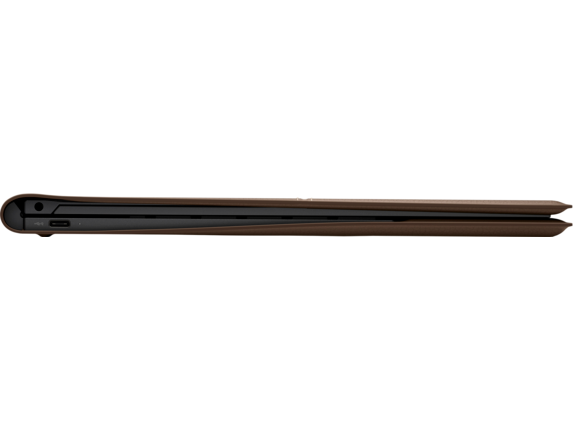 Engineered with user adaptability in mind, the HP Spectre Folio 13t Laptop redefines laptop capabilities. Seamlessly transform the HP Spectre Folio 13t from laptop mode to a tablet with a quick flip of the hinge. The hybrid hinge securely locks and docks the 13-inch screen into three different configurations. 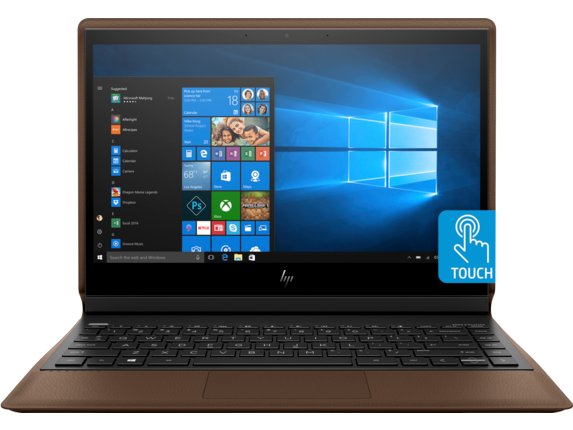 Type up documents in laptop position, edit photos with the included HP Pen in tablet position, or slide the screen in front of the keyboard for hands-free movie watching. HP’s Spectre laptop line boasts futuristic versatility that keeps productivity high. Adaptable to your many processing needs, the HP Folio 13t laptop features a backlit island-style keyboard and a multi-touch trackpad. Weighing just 3.2 lbs and measuring 0.6-inch thin, the HP Spectre Folio 13t Laptop is the ultimate on-the-go lightweight computer. This 13-inch powerhouse fits comfortably in tote bags and backpacks without weighing you down. Pack all your computing essentials without breaking any straps or worrying about aching in your back. 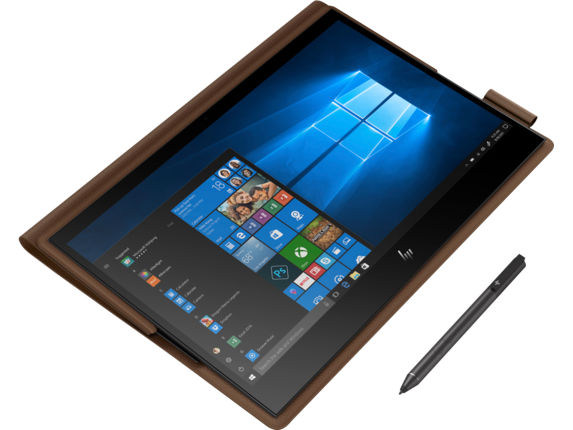 Uniquely crafted with 100% genuine leather, the HP Spectre Folio 13t features an artisan-inspired leather outer shell. 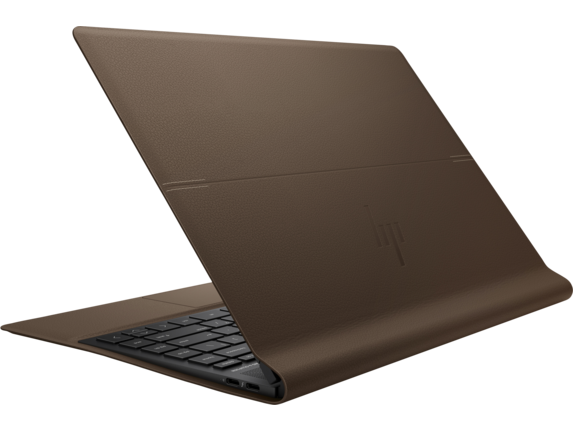 When closed, the luxurious cognac brown and pebbled leather finish gives the HP Spectre 13t a leather folio appearance. 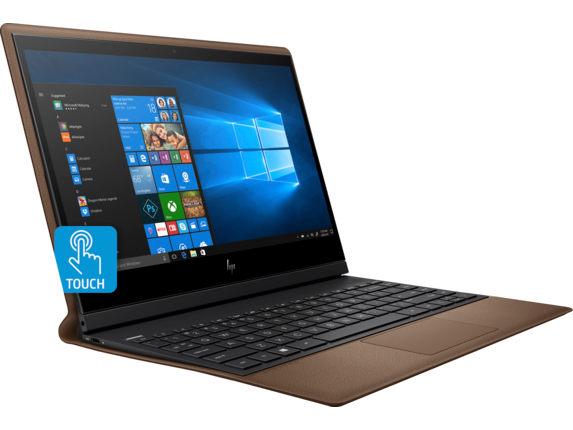 Built with an 8th Generation Intel® Core™ i7-8550y mobile processor, the ultra-low voltage platform within the HP Spectre 13t laptop delivers dynamic high-speed processing power. 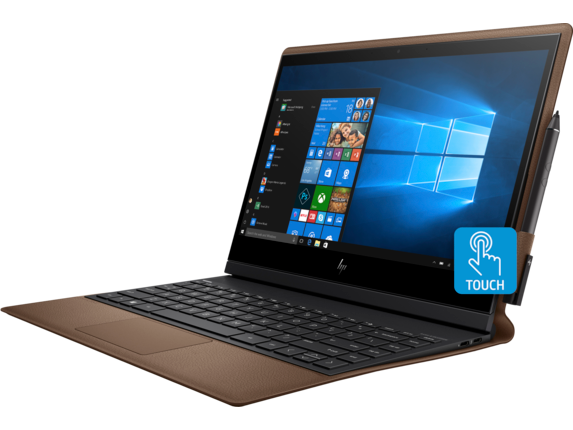 Green energy lovers will be pleased to note that the HP Spectre Folio 13t is both ENERGY STAR® certified and EPEAT® Silver registered. With 256GB of solid-state drive, you can save files faster and store more data. The HP Spectre Folio 13t features 8GB of system memory that lets you multitask between photo editing and gaming applications without a hitch. Less lag and more productivity is at your fingertips. Immerse yourself in your creative space with the Full High Definition touch screen. Responsive to your fingertips and the HP Pen stylus, navigation is made easy on the HP Spectre Folio 13t. Experience crystal clear images with the 1920 x 1080 resolution and vivid, beautiful colors with the Intel UHD Graphics 615 card. Designed with on-the-go professionals in mind, the HP Spectre Folio 13t laptop stays connected wherever you are. The built-in 4G LTE antenna lets you securely connect to the internet wherever LTE service is available. No WiFi? No problem. Connect and sync devices with ease using the HP Folio 13t’s three external ports. Transfer data at speeds up to 40 GB/s through the two Thunderbolt ports and at 5GB/s through the USB 3.1 port. Stay in touch with friends and family over Skype using the built-in TrueVision High Definition webcam. 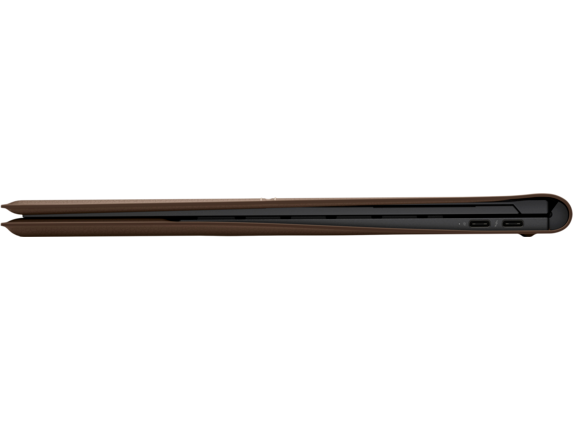 The HP Spectre Folio 13t laptop features a dual-array digital microphone that ensures crisp sound delivery. Power through demanding workdays or long gaming sessions with the mighty 6-cell 54.28 WHr lithium-ion battery. Lasting up to 19 hours with FHD panel and up to 11 hours with UHD panel, the HP Spectre Folio 13t is forgiving if you’ve forgotten the charger at home. Learn more about the differences between laptops vs. tablets in this guide.